Fort Financial Services offers an opportunity to their clients to trade on contemporary and simple financial instrument – binary options. Profit amount is known in advance – You can assess your potential profit before opening a trade. Fixed loss amount – in case of loss, you only lose the amount of your initial investment without risking the rest of your deposit. Simple trading principle – all you have to do is choose a trading contract, investment amount, determine the price direction and open a trade. You can initially determine the duration of your investment by time, for example, by choosing an option which is valid for 60 seconds or an option with investment duration of 3 or more days. Platform for trading Binary options with Fort Financial Services gives you an opportunity to choose from a wide range of trading contracts – currency pairs, world leading company’s stocks, commodities, indices. You can learn more about all available trading contracts in the trading platform. 1. Register on the company’s website. If you are already registered – proceed to the Binary options page in your Trader’s room. 2. 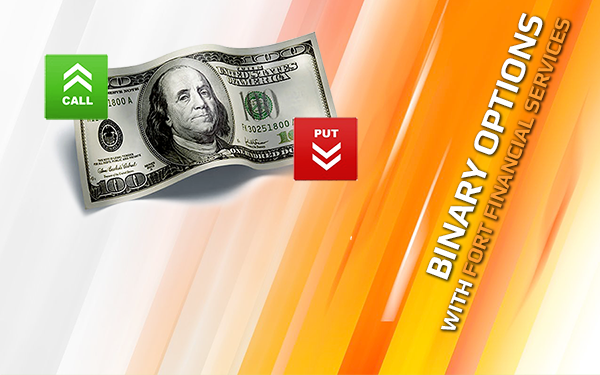 Open Binary account by clicking Open account in Binary options section. 3. Deposit not less than 100 USD to your new trading account in our company by using one of the payment options. 4. Open the trading platform for Binary options trading with Fort Financial Services. 5. Start earning up to 1150% from your investment! Start earning with Fort Financial Services - Citadel of Trading. 24.12.2014 - Forex, Spot metals, Commodities, Indexes and CFD - close at 22:00 GMT. 25.12.2014 - All trading is closed (Catholic Christmas). 26.12.2014 - Forex, Spot metals, Commodities, Indexes and CFD - open at 15:00 GMT. 31.12.2014 - Forex, Spot metals, Commodities, Indexes and CFD - close at 22:00 GMT. 01.01.2015 - All trading is closed (New Year). 02.01.2015 - Forex, Spot metals, Commodities, Indexes and CFD - open at 15:00 GMT. The rest of the markets will work according of the sessions schedule. We pay your attention, that during the Christmas and New Year's holidays, there may be some changes in trading conditions and margin requirements because of the low market liquidity. Some contracts may stop to be traded before the deadline because of the working schedule of the counterparty banks. All other systems of deposit and withdraw of funds will work in holidays on the regular schedule. 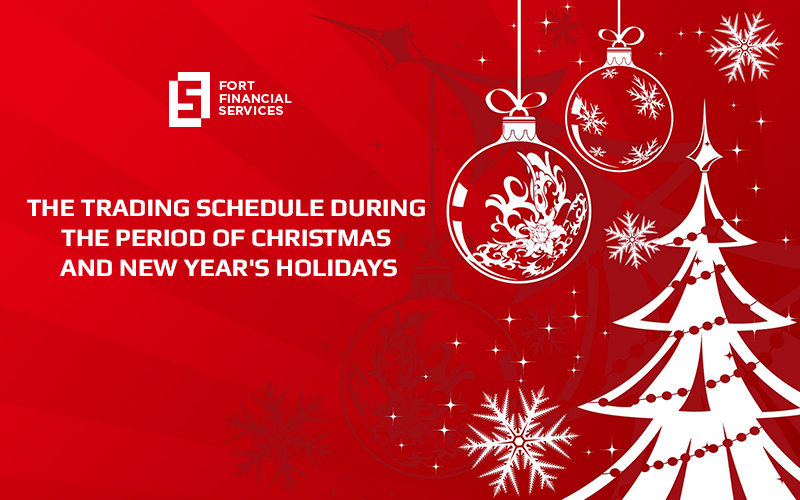 Fort Financial Services Ltd is happy to congratulate you with coming Christmas and to announce the start of the unique promotion! All trading accounts with the balance above 50 USD (or equivalent) take part in this unique event. No matter how long ago you deposited to your account the only thing that matters is the bonus that you will get on your trading account for every closed 10-th lot. You can withdraw your bonus or use it for the further trading on your account. The higher account balance you have at the moment of closing the trade the higher the amount of bonus you get. You can learn more about the promotion and how the bonuses are calculated on our website. 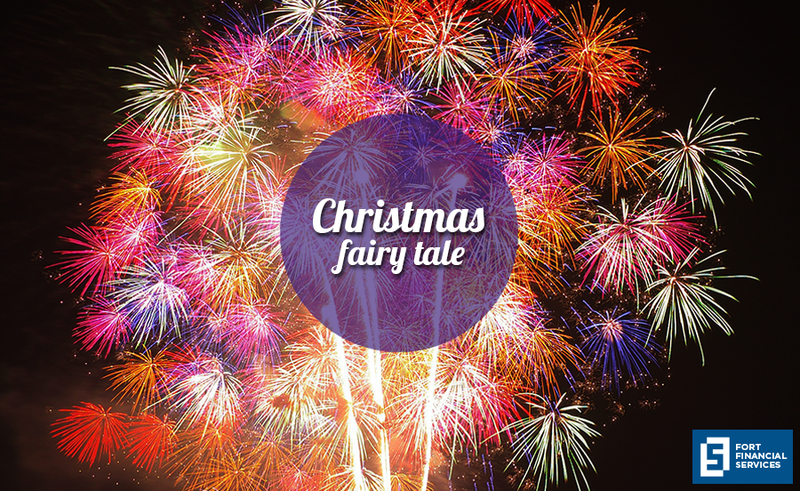 Christmas fairy tale is back! 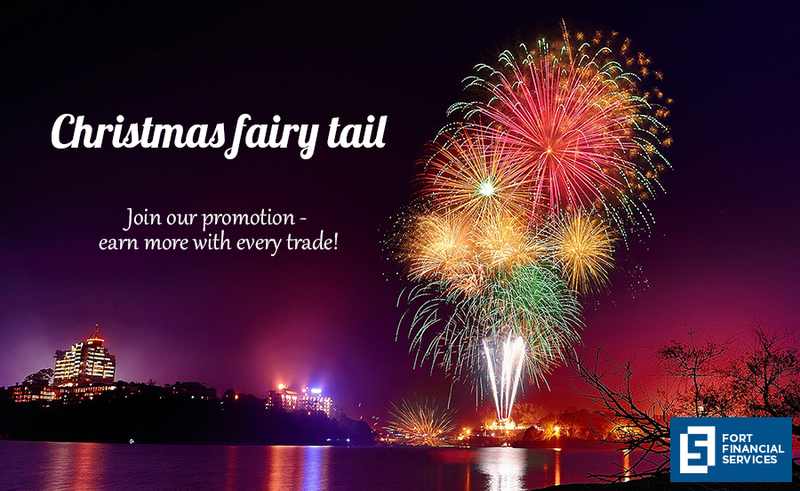 Based on the fact that "Christmas fairy tale" has been very popular last year, our Fort Financial Services team has decided to carry out Christmas promotion this year as well! To this moment, our team is preparing terms and conditions for the promotion. In the nearest time, the NEW "Christmas fairy tale" will be announced to all current and potential company's traders. "Benefit from the holidays!" - isn't it a great motto for the upcoming year?